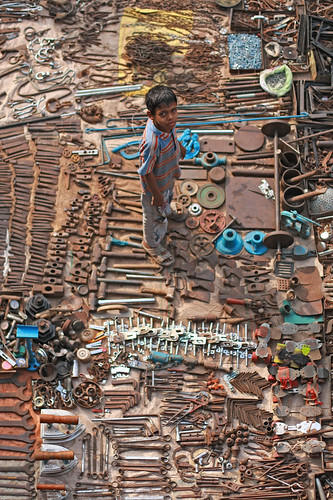 It used to be thought that what defined us as human is the fact that we make tools. But in the past few decades, toolmaking has also been observed in chimpanzees, dolphins, elephants, otters, octopuses, and several kinds of birds. Still, no other species manipulates matter as relentlessly as humans do. And over the long term, our tools are getting smaller and more sophisticated as we learn more about how to fiddle with molecules, engineer new substances, and tinker with the stuff of… stuff.